The news of the birth of a son to the second Marquess of Bute on September 12, 1847, was hailed with lively satisfaction at Cardiff. Information of the auspicious circumstance was communicated to the inhabitants by his Lordship’s agents and measures were immediately taken for some public demonstration. The bells of St John’s Church were rung, and at noon a Royal salute was fired from the Pier-head. At a public meeting held on September 20th, 1847, it was resolved to send an address of congratulation to Lord and Lady Bute on the auspicious circumstance of the birth of an heir. On October 15th of the same year a grand public ball was given at the Cardiff Arms Hotel in honour of the young heir, and a large company assembled representing the rank, fashion, and beauty of the county. The ball was opened by the Right Hon John Nicholl, M P., of Merthyr Mawr, and Lady Morgan, of Tredegar Park. The heir was christened privately at Mount Stuart, and the event was widely celebrated in the county of Glamorgan. The town of Cardiff was brilliantly decorated in honour of the event, and a public holiday was generally observed. All the school children were entertained with tea and cake at his Lordship’s expense, and in the evening a public dinner was held at the Angel Inn, most of the notabilities of the town and district being present. The infant Marquess was brought up under the care of his mother, speeding the earlier years of his life at the various residences of the family in Cardiff, Rothesay, and elsewhere. His mother died on the 28th December, 1859, and for the two years following he resided with guardians- Lady Moore, of Edinburgh, the nearest relative of his mother, and Lord James Stuart, the nearest relative of his father, who were entrusted with his early training. After a tour on the Continent in the autumn of 1861, with General and Mrs Stuart, he entered a school at Malvern conducted by Mr Thomas Essex. He was then in his 14th year. About a year afterwards he proceeded to Harrow School, and upon the completion of a short course there went to Christ Church College, Oxford, where he was placed under the tuition of the present Bishop of Durham, the Right Rev. Dr. B. P. Westcott. Here he continued until he had nearly attained his 21st year. While at college he succeeded in carrying off several prizes for English and Latin poetry. At an early age he manifested a great fondness for travel, and was in the habit of spending some portion of each vacation on the Continent. In 1865 he journeyed through the Holy Land, Syria, and Egypt, while in 1867 he made a voyage to Iceland in his own yacht, the Ladybird, and had the rare advantage of seeing an eruption of Mount Hecla. Upon the conclusion of his University training in 1868 he proceeded on another yachting cruise, stopping at a number of interesting places on the shares of the Baltic and the North Sea. In l860 the youthful Marquess, a minor of nearly 13 years of age, was the subject of competition amongst his guardians as to his custody, and the occasion of some collision between the Court of Chancery and the Court of Session in Scotland. His deceased mother on the application of the late Lord James Stuart was appointed the first guardian of the infant heir, and from 1848 up to her death in 1859 her chief residence with her youthful charge was in Mount Stuart. In her will was found a recommendation to the effect that Lady Elizabeth Moore, her nearest female relative, should be appointed joint guardian with Major General Stuart, of Hubborne Lodge, Hants, a near paternal relative of the young Marquess. The Court of Chancery confirmed this joint guardianship while the Marquess was still residing in Scotland. In March the lad was taken to England by Lady Elizabeth in order that arrangements might be made with General Stuart and with the Court of Chancery for his educating and in April the Court settled a scheme for the education of the young noble-man but Lady Elizabeth, who bad differed from General Stuart on the subject, had four days previously left for Scotland with the Marquess in her charge. General Stuart followed, seeking the custody of the ward, which Lady Elizabeth refused to give. The General applied to the Court of Chancery ta remove her Ladyship from the guardianship, and the Court granted accordingly. But the ward was now beyond the jurisdiction of the Court; and the General consequently petitioned the Court of Session to grant a warrant for the removal of the ward from the custody of Lady Elizabeth Moore and for his delivery to himself. Mr Gordon, who appeared for her Ladyship, contended that the Courts of Scotland could not give up a domiciled Scotchman ta guardians appointed by a Court in England. The Marquess himself was moat anxious to remain in Scotland, and if the Court were disposed to consider the wishes of an intelligent boy of considerable ability they would refuse the petition. Finally, the Court decided to leave matters in the existing position. A remarkable piece of evidence was tendered by Lady Elizabeth, who declared that while in London with the Marquess she became aware of the latter’s strong repugnance to remain under the same roof and be under the guidance of the General. The litigation, however, did not close with this. Three appeals in respect of the guardianship were carried to the House of Lords and the Lord Chancellor delivered judgment on May 23 of 1861 by which Major General Stuart was, confirmed sole guardian during the young nobleman’s minority. The Marquess attained his majority according to Scots law on September 13th, 1861, and the day was observed in Cardiff as a general holiday. The bells of St John’s Church rang a merry peal, the streets were gaily decorated, the artillery had an inspection on the Moors, there was a procession of Friendly Societies, a treat was given to the school children, and there were fireworks and illuminations on an elaborate scale at night. Lord Bute’s coming of age celebrations in September of 1868 aroused widespread enthusiasm in Cardiff and the surrounding district. For over a week the town was given over to holidays and holiday making. Special trains were run by the Taff and other railway companies in honour of event, and brought thousands of visitors into Cardiff to witness the street pageants. The arrangements for the celebration were on a scale of magnitude and splendour which no preceding occasion in Cardiff had surpassed. A committee of the Corporation was appointed to superintend the festivities, and for months before the event came off the programme of functions and decorations engaged the interest and attention of the townspeople generally. The celebration commenced on September 11th, when a number of oxen were roasted and portions distributed among the poor. In the evening the members of the Corporation dined together at the Royal Hotel, when congratulatory addresses were delivered. The festivities were recommenced on a more elaborate scale on the following Monday, and continued throughout the week. The Marquess arrived at Cardiff on the Wednesday, and was received at the Low Water Pier by the Lord Lieutenant of the county, the High Sheriff, and the Mayor of Cardiff. The last named presented Lord Bute with a beautifully illuminated address in the name and on behalf of the inhabitants of the borough. An imposing procession was formed and conducted him to the castle amid a scene of great enthusiasm. All the thoroughfares of the town had been gorgeously decorated. Over the Bute monument a magnificent canopy was erected, springing from the iron railing and at night the monument itself was thrown into strong relief by innumerable gas jets placed around it in various forms. In the evening the Marquess was the guest of the county at the Drill Hall, the Lord Lieutenant presiding over a distinguished company. The young nobleman passed through the celebration with a modesty and good sense that won the approbation of all. His speeches were simple in style, concise in expression, and true in sentiment. 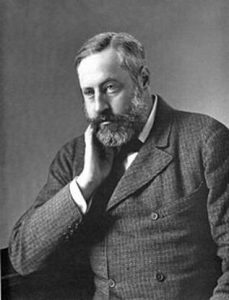 In March of 1872 the Marquess, acting under the provisions of his father’s will, appointed Earl Beauchamp as a new trustee of the Bute estates. On the 16t April, 1872, Lord Bute married, at the Oratory, Brompton, the Hon. Gwendoline Mary Anne Howard eldest daughter of Lord Howard of Glossop. The register of the marriage was signed by many distinguished witnesses, including the Duke of Cambridge, the Duke of Norfolk, the Dukes of Northumberland and Argyll, Mr Disraeli, and the Earl of Rosebery. Referring to the presence of Mr Disraeli, a reporter describing the scene in the Oratory, said; “It was impossible not to remember as the leader of the Tory party, to use the phrase which he himself prefers, passed up the church, that the right hon. gentleman was also that brilliant novelist who had come to witness the union of Lothair with another Corisande.” The guests of Lord Howard of Glossop at the wedding dinner included the Duke of Cambridge, the Duke of Norfolk, Mr and Mrs Gladstone, Mr Disraeli, and Viscountess Beaconsfield (formerly Mrs Lewis, of Greenmeadow), the present Duke of Rutland, Lord and Lady Frederick Cavendish, General Stuart, Mr and Mr” Boyle, etc. If Lady Bute’s arrival at the Mount of Olives with her husband’s heart is an episode with mediaeval associations, nothing could be more modern (observes the “Daily Chronicle “) than Lord Bute’s other wishes in regard to his obsequies. His own great wish was that when his heart went to the Holy Land the rest of his body should be cremated in Scotland. The Roman decree which excommunicates all Roman Catholics who take part in carrying out cremations barred the way to the fulfilment of his desires. The nearest canonical short cut to the fulfilment of his wish was to fill his coffin with quicklime, and this accordingly was done. When a young man the Marquess of Bute while scrolling through a wood in the neighbourhood of Rothesay, was accosted by a little Cockney tourist, who told him he was glad to see a civilised human being at last. All the natives he had met ware, he remarked, like a pack of wild beasts. “But, maybe, cockalorum,” continued the tourist, deceived by the patrician youth’s accent, “you’re an Englishman, like me?” “No, I’m a Bute man,” responded the Marquess. “Then where on earth were you tamed?” inquired the Cockney in astonishment. The juvenile head of the house of Bute put on a very fierce expression, and menacingly raising a cudgel he was carrying, roared, “Who said I was tamed?” The alarmed Londoner uttered not another word, and turned and ran for dear life in the, direction of Rothesay.